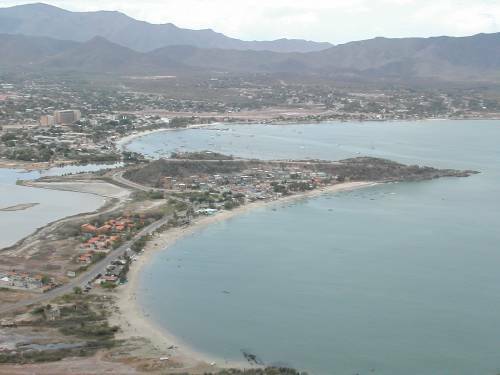 Juangriego is one of the most important cities in Margarita. 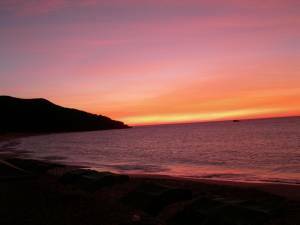 It’s located right next to the sea and has a beach that is very frequented by locals. 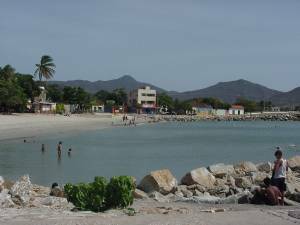 Some tourists prefer La Galera and Caribe Beach because they are very close. We present them bellow. The main attraction from Juangriego is the fort. 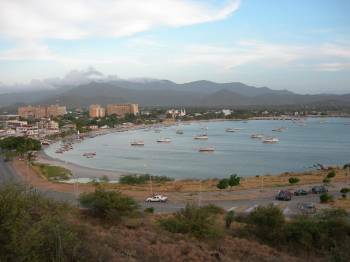 There you have a nice view of the city and La Galera Beach. 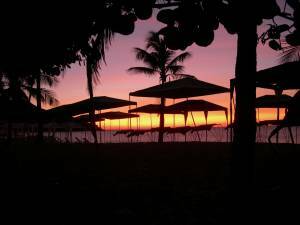 It’s very visited at sunset. It’s simply spectacular! Order your day so you can be in the fort at sunset. If a local boy asks you if you want to hear the story, tell hem “yes”. 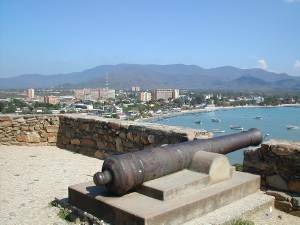 For a small tip you’ll know why Juan Griego is named like that, and what the battle of Matasiete was. 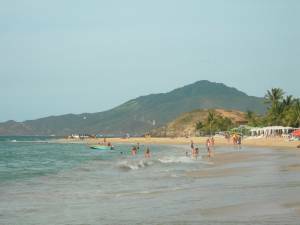 One of the few quiet beaches in the north of the Island is La Galera. 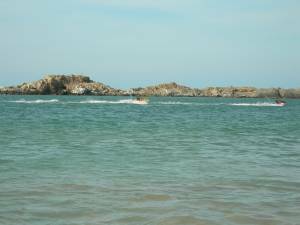 La Galera has its name due to a sunken ship that can be found in the bay. 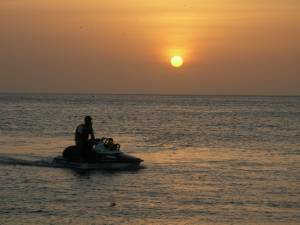 Located very close to the Juan Griego fort it is an excellent option if you have small children or when you like to enjoy of water motorbikes. 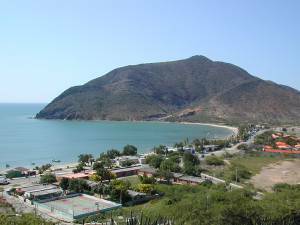 For those who like doing some exercise, a nice option is to climb the small hill at the end of the beach. From the top, the view is fascinating. 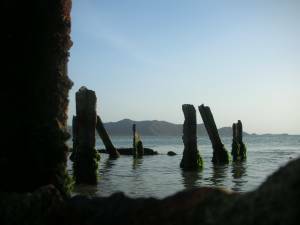 Rests of the sunken ship. 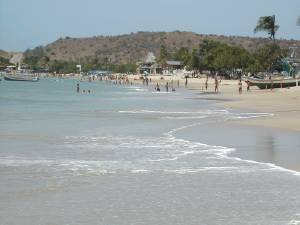 One of the most popular beaches, recently, is Caribe Beach. 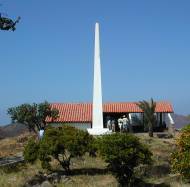 It is located near to Juangriego. It isn’t very deep and it has middle size waves. 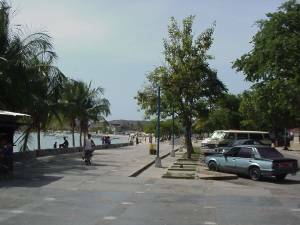 The beach is very nice and with many palms. 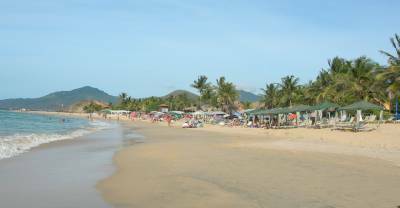 Caribe Beach has many tents and kiosks. 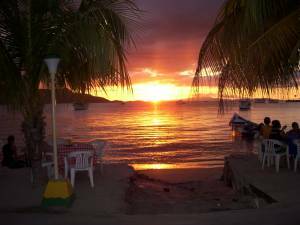 Caribe Beach is also an excellent place to watch one of the most amazing sunsets in the whole island. 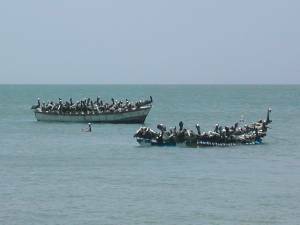 Araya - The peninsula of Araya is located in the state of Sucre, north from Cumana.